Here at the Paint Barn we have very high standards of workmanship and have over 25 years experience in vehicle body repair and paintwork. We will happily work on any vehicle make or model, new or old and will help and advise you in any situation to help return your vehicle to perfect condition. 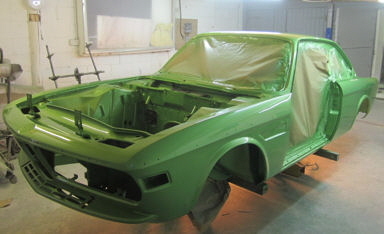 Whether it's re-spraying cars, vans or motorbikes, painting steel, aluminium or fibre-glass parts or fabrications, we have the experience and skills and are confident we can meet or exceed your expectations. 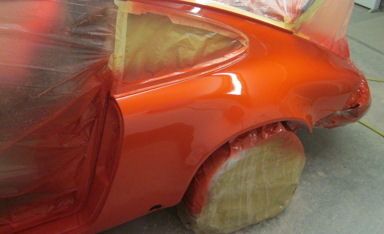 We can use water based or solvent paints and we can colour match to most vehicles. As perfectionists we take pride in our work which enables us to produce the best possible results. Priding ourselves on the quality of our work, we will not just fix your vehicle, but repair and restore to the manufacturer's original specification and sometimes even improve on them. This means the repair is not just cosmetic it ensures the vehicle repair is strong and safe and will last in the long term. Why not visit us to see our quality before you make that decision.